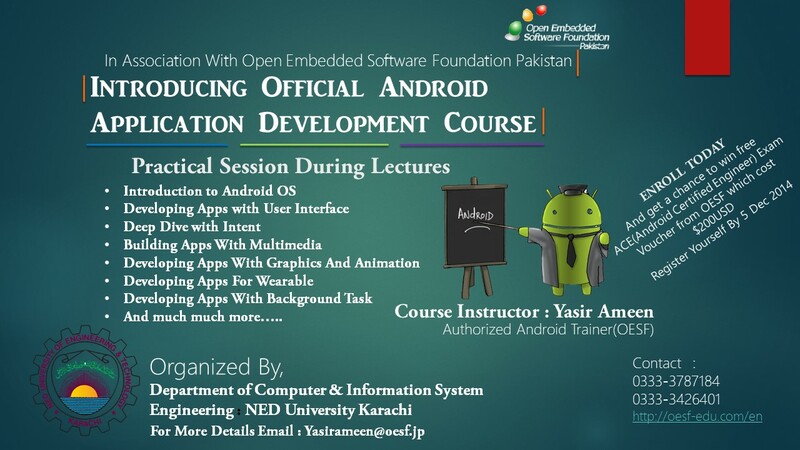 OESF Pakistan will hold the OESF authorized Android training course in NED University Karachi. Please find the detailed information. For the detailed information, please email to yasirameen[at]oesf.jp.